Windows Live Mail is the e-mail client that is part of Microsoft’s Windows Live suite of applications. A common error encountered when using Live Mail has to do with authenticating a server for outgoing mail. Learn how to fix Windows Live Mail Error 0x800CCC0B. When receiving mail in any e-mail client, it is necessary to use a username and password to authenticate that you have the right to receive the e-mails in your account. 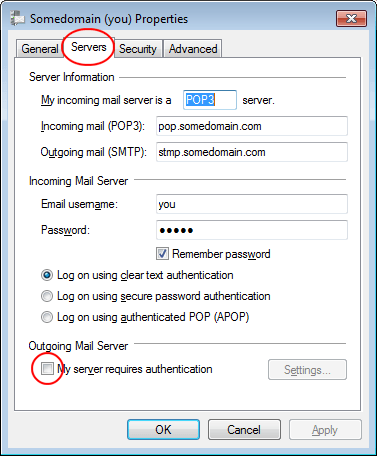 The Post Office Protocol (POP) server, managed by your e-mail provider, handles incoming mail. Many e-mail service providers, however, do not require authentication for outgoing mail. Most e-mail service providers use the Simple Mail Transfer Protocol (SMTP) to handle outgoing mail. If you receive Windows Live Mail error 0x800CCC0B, it is possible that your e-mail service provider requires authentication for outgoing as well as incoming mail. 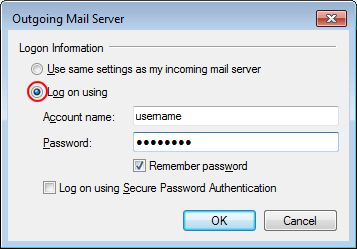 In Windows Live Mail, you can turn on authentication on an account-by-account basis. Before you proceed with the fix below, be sure you are applying it only to the account(s) that are experiencing the error. Adding authentication to an account that does not require it can cause further errors with the account. 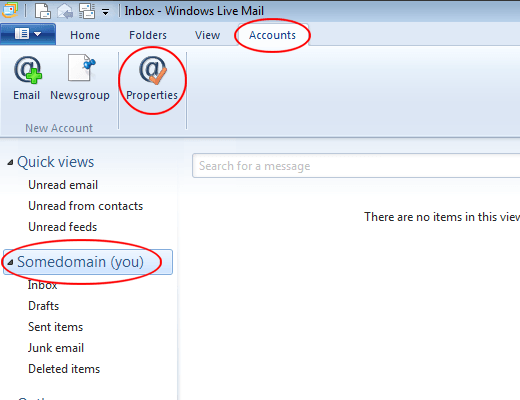 Open up Windows Live Mail and click on the Accounts tab. Click on the e-mail account giving you the error and then click on the Properties button. You should now be looking at the properties for your e-mail account. Click on the Servers tab and locate a section of the window titled Outgoing Mail Server. Check the box labeled My Server Requires Authentication. Normally, your email service provider will use the same username and password for outgoing mail as it uses for incoming mail to authenticate that you are authorized to send mail from the account. If this is not the case, click on the Settings button. You should now be looking at the Outgoing Mail Server properties window. By default, the option titled Use the Same Settings as My Incoming Mail Server is selected. Check the option titled Log on Using. Type in your Account Name and Password information for outgoing mail. It is up to you whether to choose the option labeled Remember Password. Unless you are using a PC that is located in an unsecure location, you should keep this option checked. Otherwise, you will have to type in your username and password every time you want to send mail from this account. Click the OK button on the window and then click on the OK button in the properties window. Send an e-mail from the account and see if the error disappears. This can result in a Windows Live Error. By checking a simple option in the application and optionally adding username and password information, you can fix Windows Live Error 0x800CCC0B.